Amy Denman is a member of ConvergenceCoaching, LLC, a national consulting firm dedicated to helping leaders achieve success by helping them develop and implement leadership, succession, and marketing plans. As the firm’s Technology & Education Manager, Amy manages technology platforms and CPE administration for the ConvergenceCoaching, LLC team. She is responsible for the Learning Management System, SharePoint intranet and project manages new technology opportunities. Amy also manages all CPE administration and compliance for ConvergenceCoaching, insuring that our students receive appropriate CPE awards. Prior to joining ConvergenceCoaching, Amy was employed as a Business Consultant for NxTrend Technology. In this capacity, she was responsible for the project management of “Trend” software installations for wholesale distributors. These long-term projects required Amy to understand the needs of the client and the design and capabilities of the software. Amy worked with the engineering department to translate client needs into design modifications as well advise clients of best practice approaches and culture change within their organizations. In addition, Amy has worked in the financial services industry for First Command Financial Planning and Southern Company. An Air Force spouse, Amy has lived in 9 different states and moved 10 times, traversing the United States with her husband, two children and Scottish Terriers. 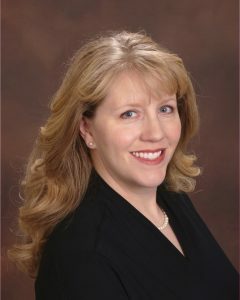 Amy’s ability to relocate, and support her family while her husband is serving, all while remaining a productive member of the ConvergenceCoaching team exemplifies her independent, can-do spirit and is a testament to her ability to work successfully in a truly virtual, flexible environment. Amy has vast experience with information technology and has applied that knowledge in her role with ConvergenceCoaching. Her ability to apply and implement new technologies like our Learning Management System and SharePoint site has supported ConvergenceCoaching’s ability to deliver high-quality consulting services to our clients. In addition to her duties at ConvergenceCoaching, Amy is involved in her community and her children’s activities and has served as a Vestry committee member at her church, an adult leader with her son’s Boy Scout Troop and as an Air Force Key Spouse Mentor. Amy is an avid reader and enjoys cooking, gardening and traveling. She always finds a new hobby to pursue at her new duty stations including rowing and most recently, sailing.